Grovewood Gallery in Asheville is pleased to announce the opening of Southern Migrations: Five Years in Asheville, a solo exhibition of contemporary landscape paintings by Michigan-based artist Shawn Krueger, on view from July 15 – August 20, 2017. An opening reception with the artist in attendance will take place Saturday, July 15 from 2 – 5pm (free and open to the public). Shawn Krueger is a painter whose work sits comfortably in both the American Arts and Crafts and Tonalism movements. Traditional methods and an awareness of history are important to the artist. Krueger says "I consider myself a contemporary artist, by virtue of having breath and a pulse in the year 2017, but my approach to the work definitely hearkens back to Barbizon, to the Hudson River School and even the Dutch Masters." Krueger has been quietly becoming a fixture in the Asheville art scene...which is rather remarkable given that the artist lives in Grand Rapids, Michigan. He says, “I've been making pilgrimages to Asheville for five years now, either to deliver work to a gallery or specifically to paint. It's in my blood now." 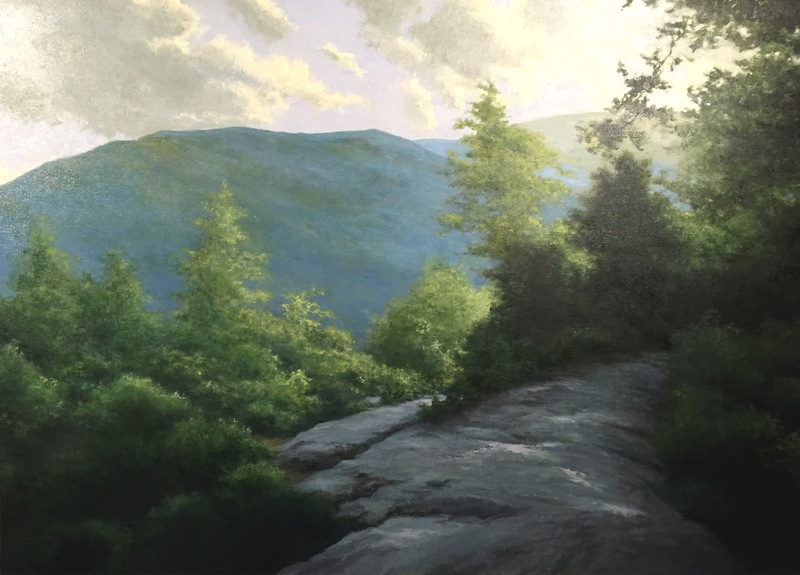 Mood and a sense of place are the focus for Krueger in his paintings, and the majority of his pieces for this exhibition were begun outdoors, on-site in the Asheville area. 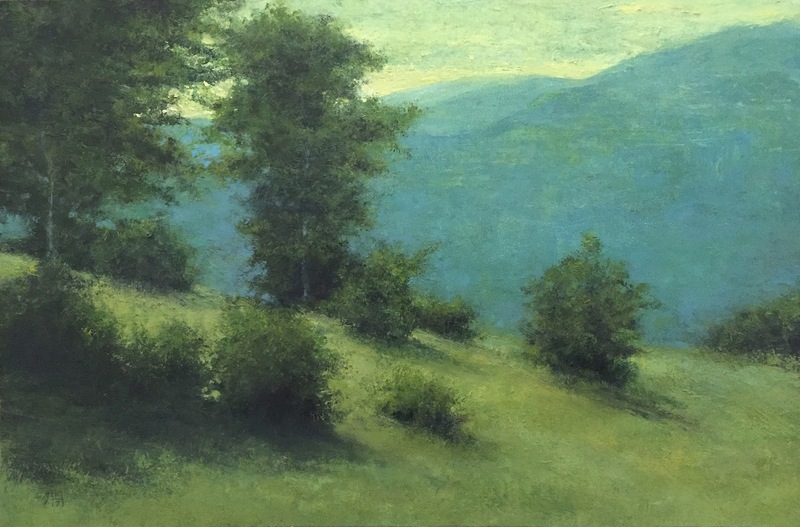 When asked what draws him to Western North Carolina, Krueger says, "It's obviously beautiful here and I'm a painter who thrives on creating a mood and a sense of mystery in my work. In the Midwest, one generally has to coax this out of a scene. Here, you have such depth and moodiness to your landscape as is, and I'm able to concentrate on what's before me, rather than think about it as something I might want to try and improve upon." Krueger also showcases his work at the annual National Arts and Crafts Conference each February at the Omni Grove Park Inn and is a member of the Roycroft Artisan Guild.